Teenagers are always hard to please so getting a gift for your teenage daughter can prove to be an adventure, especially if you don’t know her tastes that well. But you can get something generic that she will surely enjoy. If your teenage daughter is into new technology, you can buy her a gadget, she will probably be ecstatic and will love to show her friends the cool new gifts she received. 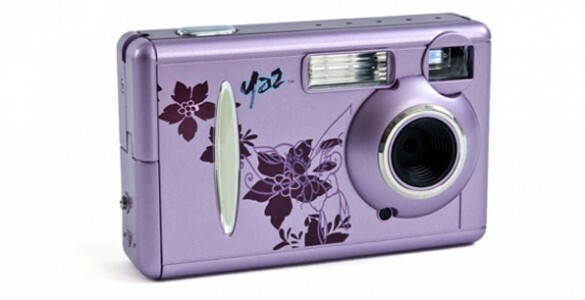 A digital camera is always a great way to make your teenage daughter happy. Who knows, perhaps she will discover that she loves taking photographs. Al.so, think about all those good memories you will have with her in the future, all kept on the digital camera you bought her. A watch can also be a great way to show your appreciation for your teenage daughter. However, if she is into fashion, make sure that it is a trendy watch, otherwise she won’t wear it. If she is not into the new trends, you have to make sure that the watch at least matches her style of clothing. Don’t buy her an elegant watch if you know she likes sports and wears more casual outfits. And also, don’t make that mistake parents always make when buying their children something they like, not something their children would like to have. The same goes for clothes, if you intend on making her a gift that consists of clothes. The best way to do this would be to actually take her shopping and let her choose what she wants. If you want to buy her something that will enhance her group fun, you can buy her a board game. Board games are a great way to spend good time with your friends while playing something interesting. You can buy her a strategy or an RPG game where she will build her character and have lots of fun. Make sure that the gift you buy for your teenage daughter is both unique and helpful in some way for her; perhaps it can even start a new passion of her. Buying her a telescope, a chemistry set or something really education can prove to be fruitful in the long run.